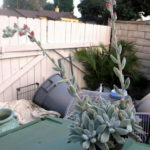 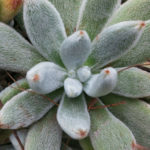 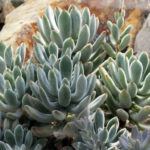 Echeveria leucotricha is a succulent subshurb up to 6 inches (15 cm) tall. 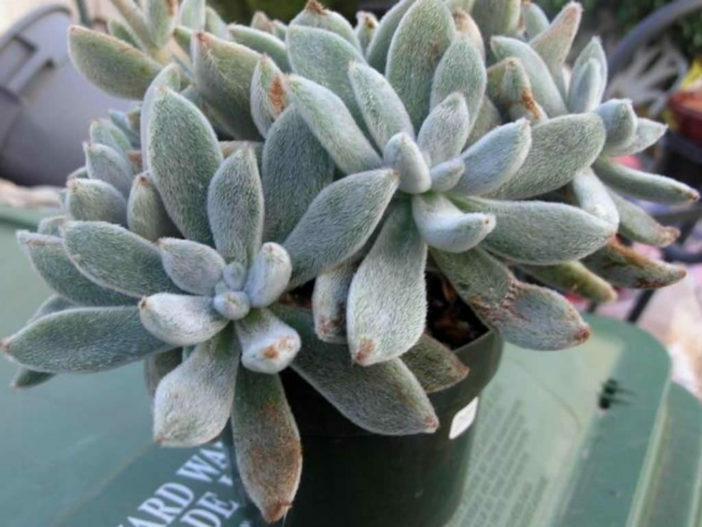 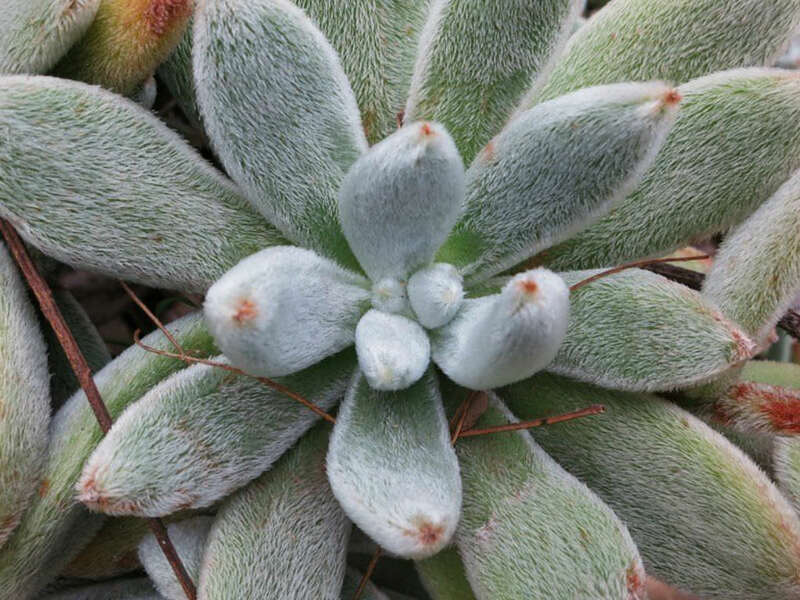 The leaves are densely covered with silver hairs which become brown at the leaf tips. 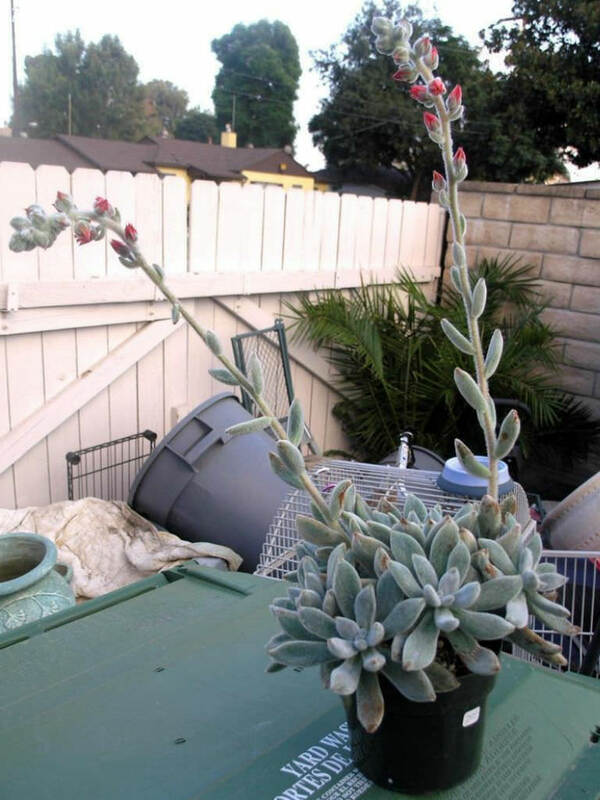 Flowers are red in color. 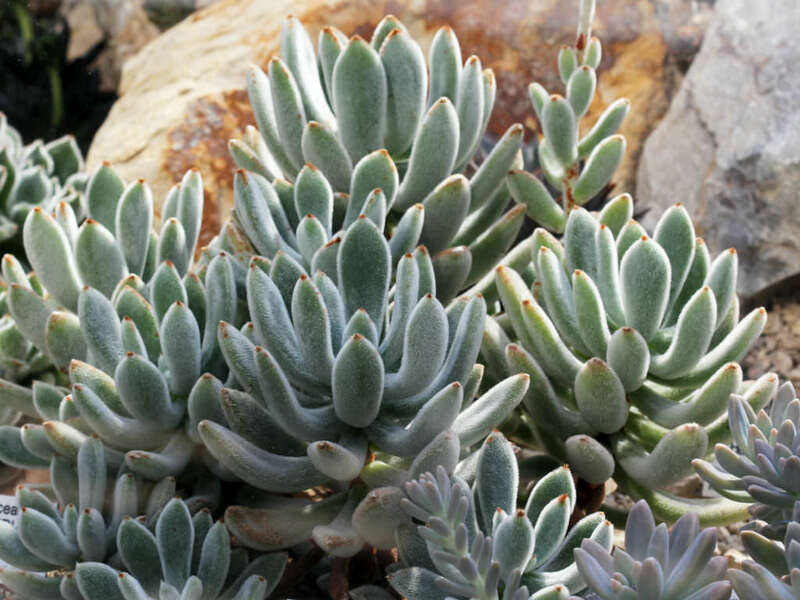 Echeveria leucotricha is native to Mexico.